As traditional sources of sustainable advantage like economies of scale and customer captivity erode, as change accelerates and products commoditize, providing better customer service becomes one of your only sources of advantage. I spent the last three months researching breakthroughs in customer service to prepare for a workshop I recently delivered for a global technology firm. I interviewed Harvard professors, read books, and spoke to forward-thinking CEOs. What I found is that innovators are hard at work on the fringes, and as their innovations come into the center, they will transform what customer service means for your business and your life as a consumer. Phone keypads may go the way of rotary dials when we no longer have to experience the excruciating “touch 2 for what you don’t need” exercise. SpeechCycle is one firm helping companies recognize what you want just from your confused utterances. “We know 3 million ways customers might complain about slow internet service,” says Zor Gorelov, CEO of SpeechCycle. 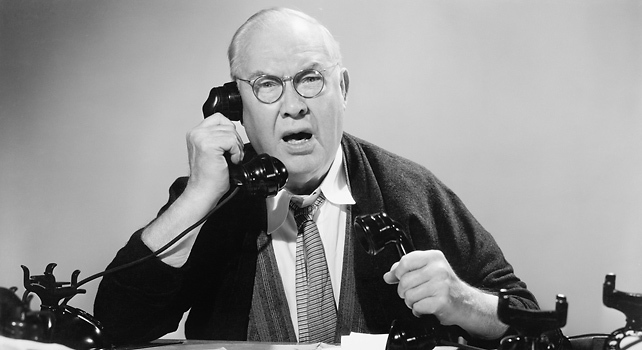 By listening to lots of customer service calls, SpeechCycle’s technology gets smarter every day and pushing toward a future in which the customer service message that greets you says “Hi, how can I help you?” rather than “Press 1 ….” You can explain your issue in plain language, and the technology will simply solve your problem without human interference. This means empty call centers, happy customers, and profitable companies. Today when a business manager wants to change a customer service process, they have to write a request to their development team, who then interviews them, designs a process, and has the business side review it. Then the development team codes it, sends it to a user interface expert who makes it look pretty, then the tool is piloted and revised. The process can take weeks, even months. Pegasystems can shrink that process to a few minutes. It puts into the hands of business managers a design tool that helps them visually lay out a new process, link it to databases, then automatically generate the coding, so that within minutes they have a new program. Let’s say you work for a student loan agency and you realize how to improve the process of accepting a new loan application. Over lunch you draw out a flow chart on your computer, enter the questions someone should ask (“What year will you graduate?”), specify where the program should launch some automatic processes (e.g., conduct a credit check) or access outside data (e.g., the student’s past loan payment history), and then generate automatic communications (e.g., send an email confirmation). By the end of the lunch hour you have a new fully integrated program. You competitors, meanwhile, will take a month or more to adopt your innovation. This is part of a broader trend of self-service and customization: sushi shops in Japan with ordering panels at tables to communicate directly with the kitchen, airport self-service kiosks that sell you travel insurance and upgrades, and so on. The idea that customer service costs money is being turned on its head. Instead, customer service is reducing costs. Consider iGate, whose unique engagement model enables it to dramatically reduce the process costs of its clients…and keep a piece of cost savings for itself. Consider Progressive Insurance, whose blue and white trucks race to the site of your accident, often even before the police arrive. Keeping this fleet afoot is costly. But this customer service offering is actually a cost saving in disguise. You see, on average, $15 out of every $100 in insurance claims are from fraud. By being there first, Progressive can ensure their claims are clean and create a significant cost advantage over its competition. You bring your new Xbox home but you can’t connect it to your WiFi service. Who do you call? Often customers first call their cable company, thinking it’s an Internet problem. But your cable company tells you the Internet is working and that you should call the retailer, Best Buy. But Best Buy says it’s a hardware problem and you should call the Xbox manufacturer, Microsoft. RadialPoint is changing the too common scenario. Now your cable company will say, “The Internet connection seems to be working and we didn’t sell you the Xbox, but we can help you solve your problem.” For an extra fee, they will pull up a program that puts into your customer service advisor’s hands all the knowledge they need to navigate your internet, Xbox, Best Buy mess. Customer service is becoming a revenue generator. One expert I interviewed told me Best Buy’s service business (GeekSquad) generates 10% of the company’s revenue but 25% of its profit. RadialPoint is now helping leading retailers and Internet service providers around the world go into the business of providing customer service, even for goods they do not sell, for a profit. Add all of these shifts together and we start to see a radically different picture. Machines that can listen and understand you, connecting to business processes that adapt immediately to better practices, providing better customer service that saves money and even creates profits. Customer service becomes a central source of competitive advantage. Step into this new world or risk being left behind.